If you're looking for a way to transport your car, you have several options. You could pay a carrier, hire a trailer or rent a car transporter. 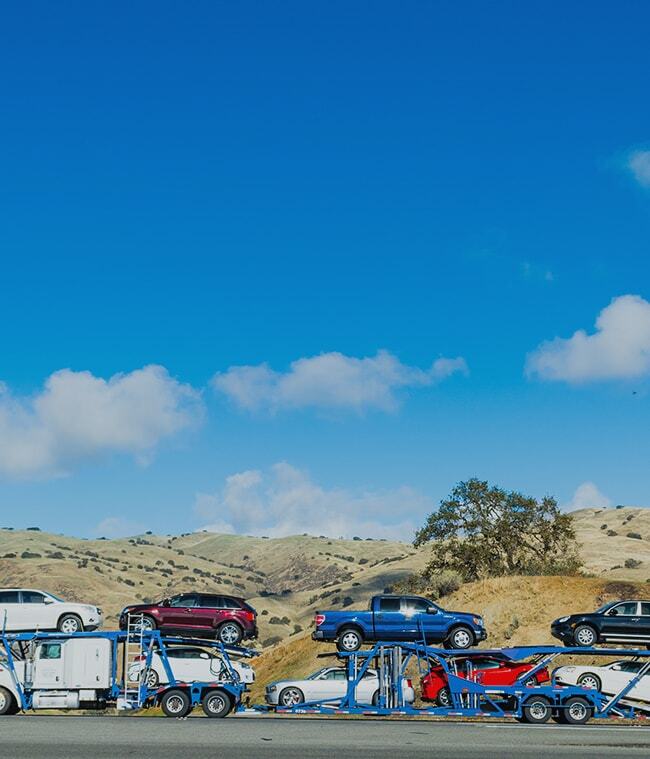 As well as the obvious cash saving and convenience, there can be other advantages in using a car transporter over a carrier. If you're purchasing your car over the internet, paying a carrier to collect it for you means that you miss out on the chance to inspect the car yourself before taking it away. However, using a car transporter means you get the opportunity to check your car before paying. Also, you can move the car at a time that is convenient to you. If you choose a carrier, you will have to wait until that company has one of their transporters in the area to collect your car. This could mean a delay of days or even weeks. Lastly, with a carrier, how do you know that your car will be taken care of and will arrive at its destination in the same state it left in? Driving a car transporter is similar to driving a big van. When fully loaded, its overall length is on average around seven metres, whereas the combined length of car and trailer can be up to nine metres. The extra length could cause problems in areas with restricted access. It's not just the length of a car and fully loaded trailer that could cause you problems. The weight could be an issue also. Even if you have a towbar fitted to your car, there are legal limits as to how much weight you can tow. For example, a decent sized saloon car can typically tow up to a total of 1,800 kg. If your trailer weighs 800 kg, this means you can only carry one tonne. Even if you have a bigger car, such as a Land Rover, which can legally tow two tonnes, you may not be legally allowed to tow with it. With a standard class B driving licence, the maximum total weight of the towing vehicle, trailer and load can not exceed 3,500 kg. If it does exceed this weight, you need to pass a class C driving licence test, unless you passed your test before January 1997. The additional length and weight of a fully loaded trailer will mean that you are limited to how fast you can drive. Depending on the distance you have to travel, this could add a significant amount of time on to your journey. Added to that, if you don't have a legal number plate on the back of the trailer, you could end up with a fixed penalty ticket. So which option is best for transporting your car? Quite simply, car transporter hire is less costly, more convenient, easier, and takes less time than using either a carrier or a trailer.